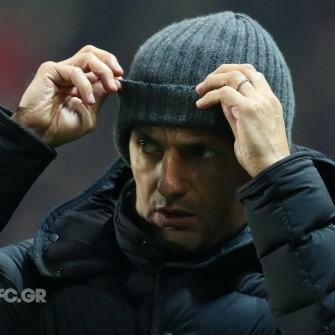 It was expected that the game would be far from easy. 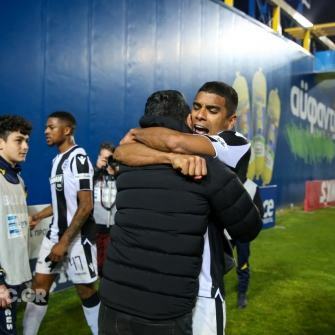 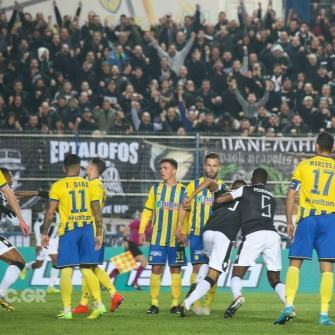 Panetolikos are a tough side, have proved that since the beginning of the season, and they seldom lose. 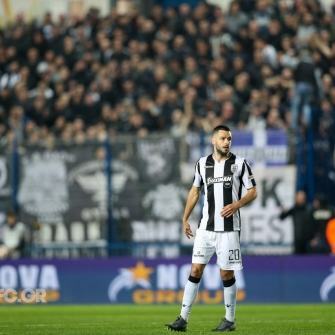 The first half will be soon forgotten. 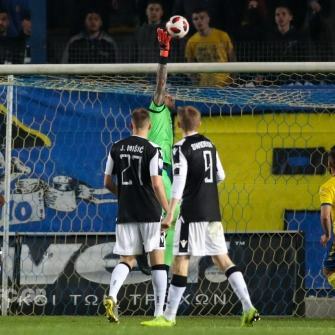 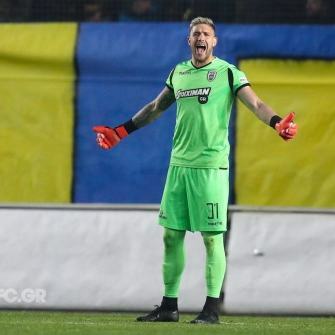 Alexandros Paschalakis produced a spectacular save in the starting minutes, Chuba Akpom failed to score from up close, Diego Biseswar did score but his goal was disallowed on the offside rule. 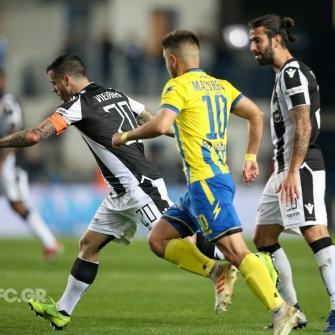 The two sides hit the dressing room for the interval goalless, the “Double-Headed Eagle” enjoying possession but weren’t able to carve out clear-cut chances. 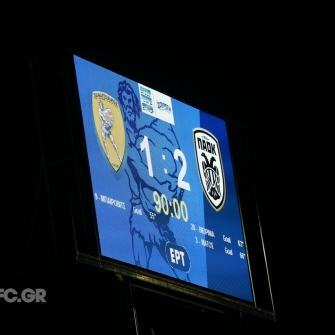 The second half proved much more eventful. 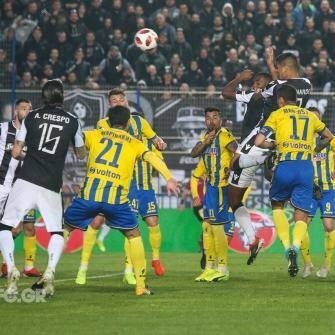 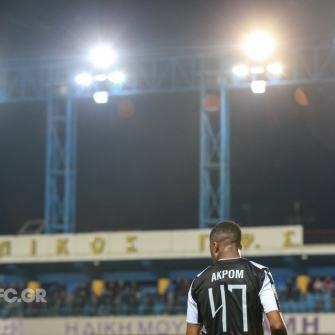 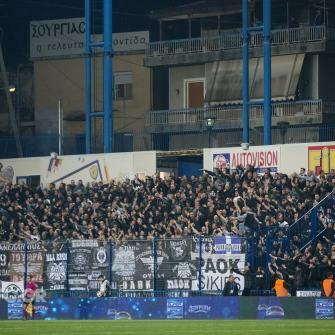 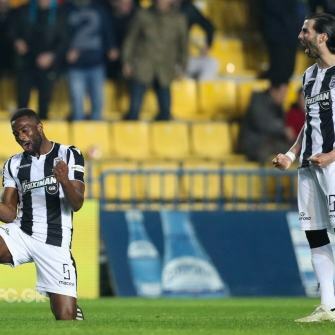 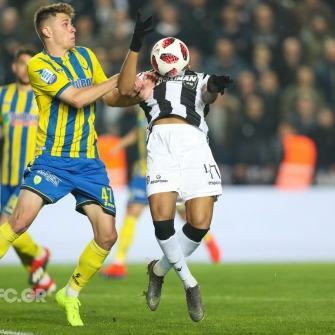 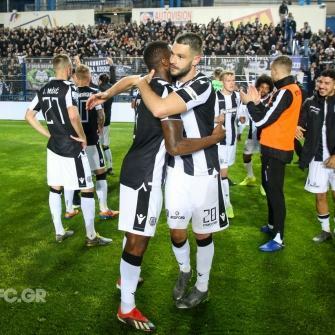 PAOK hit the ground running and scored through Akpom in the 50th minute. 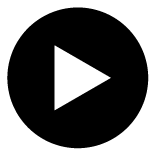 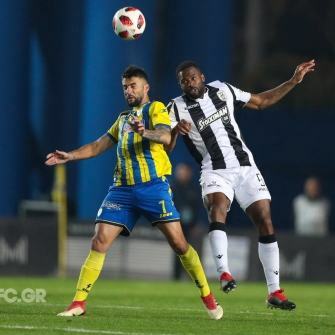 However referee Tsamouris decided the English forward had fouled his opponent and ruled out the goal –an erroneous verdict. 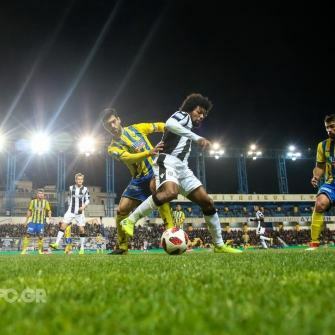 Five minutes later, the referee pointed to the penalty spot, after José Ángel Crespo brought down Días. 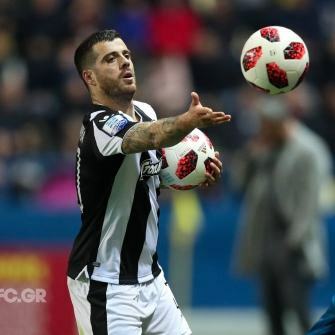 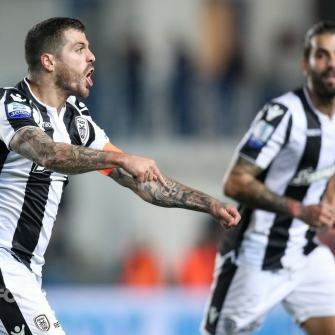 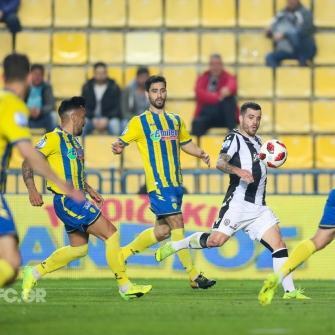 Bajrovic converted the spot kick past Paschalakis. 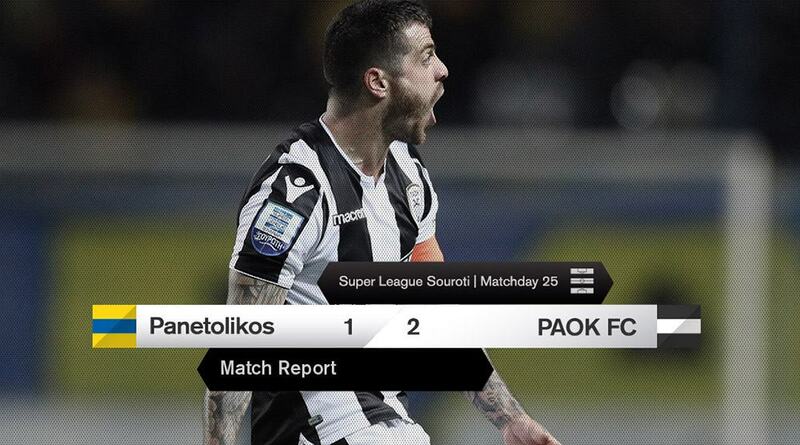 PAOK reacted almost immediately. 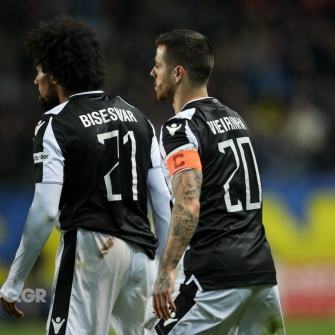 The skipper struck in the 64th minute. 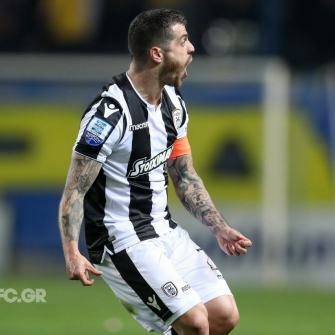 With an astonishing drive from 40 metres out, Adelino Vieirinha beat Giannakopoulos to equalize for the visitors. 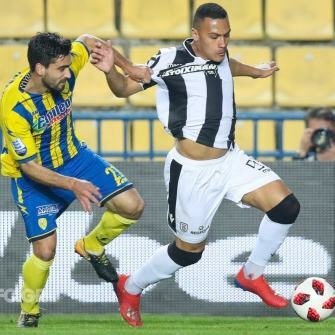 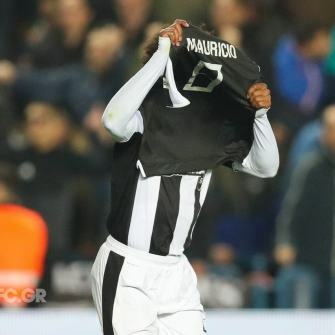 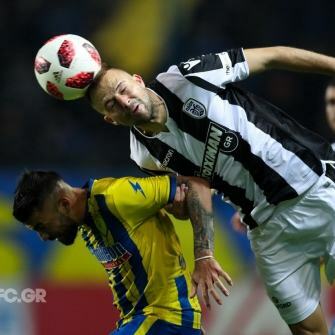 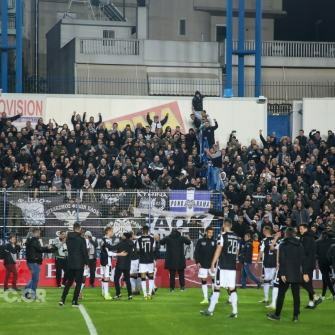 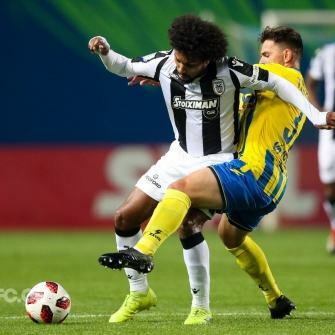 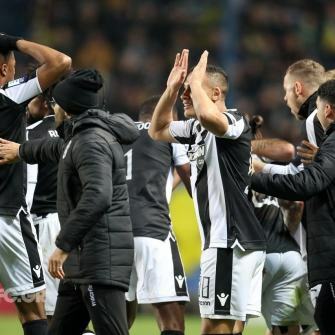 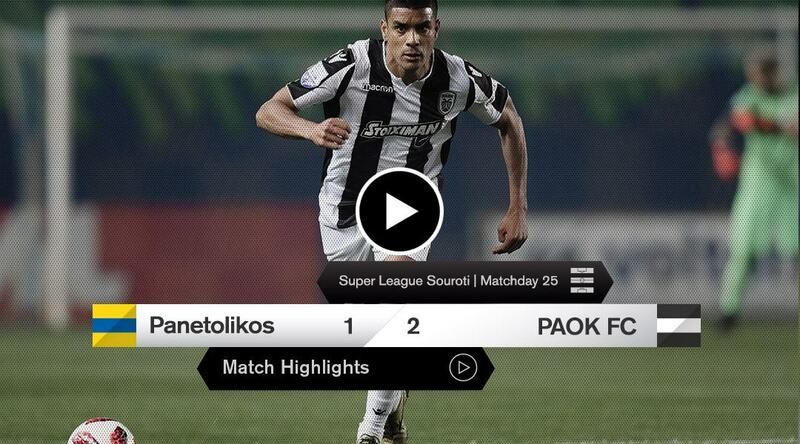 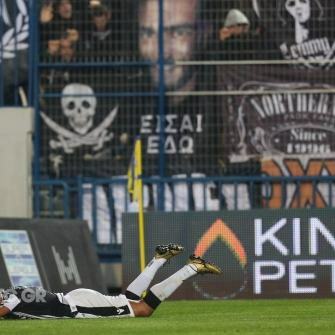 Three minutes later, Léo Matos completed PAOK’s comeback with a header following Biseswar’s corner kick. 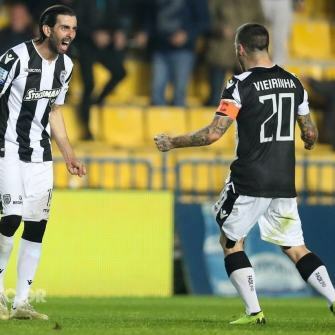 Răzvan Lucescu’s troops negotiated their lead perfectly in the remaining minutes and celebrated a valorous three-pointer that bring them closer to the fulfillment of their league title dream. 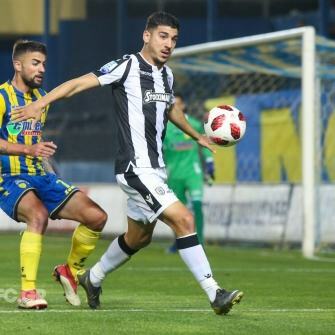 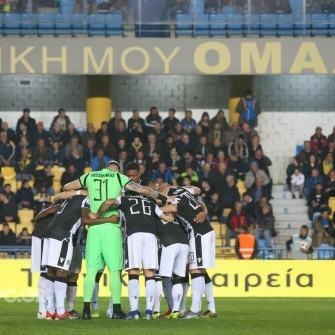 Panetolikos: Giannakopoulos, Malis, Marcos Paulo, Mihaj, Mazurek, Αmaral, Tsingaras (69’ Lucero), Bajrovic, Marinakis, Μaná, Díaz (74’ Τsokanis). 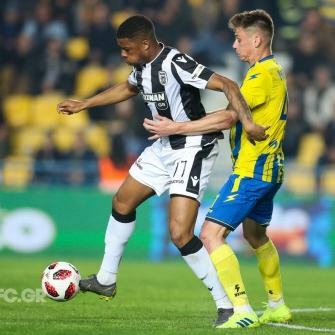 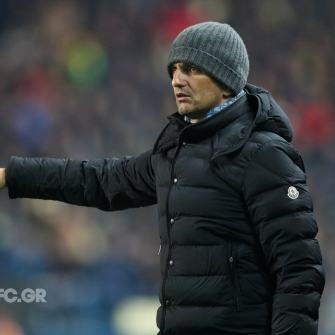 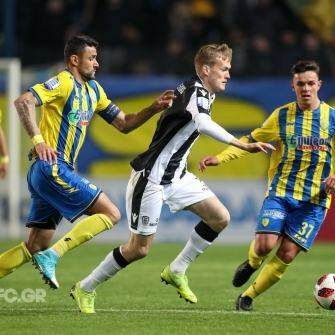 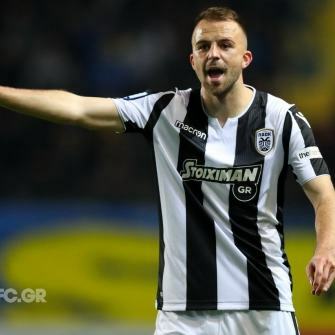 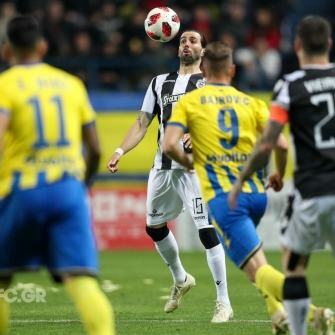 PΑΟΚ: Paschalakis , Μatos, Varela , Crespo , Vieirinha , Oliveira (77’ Mišić), Shakhov , Biseswar , Jabá (87’ Henrique ), Limnios (60’ Świderski), Akpom .